CEO Ivan Gazidis now looks set to remain at Arsenal for the foreseeable future, with the Italian giants AC Milan considering their options. 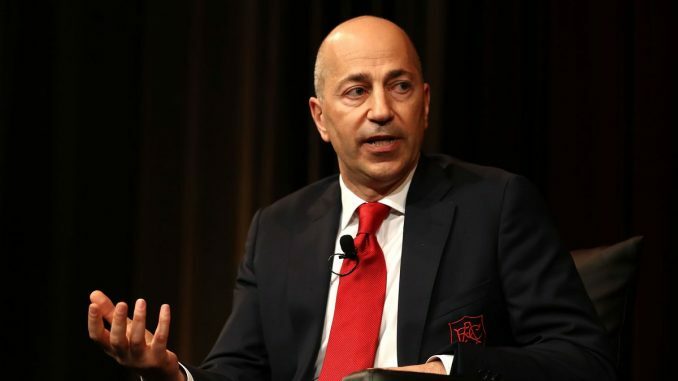 According to a report from the Italian national sports newspaper Corriere dello Sport, as quoted on Football Italia, Gazidis is yet to accept AC Milan’s €4 million offer, casting serious speculations over the move. They also state that the Arsenal chief executive would demand different dear clauses as part of the deal. With AC Milan now working under the Elliott Management, the Milan-based outfit are planning to make an appointment behind the scenes. Ivan Gazidis was shortlisted very early on and has been connected with a move to Italy for some time now, but now seems to miss out. Serie A rivals AS Roma’s Umberto Gandini (who has previously worked with Rossoneri for 23 years) is also believed to be a possible candidate for the role. The latest reports have suggested that the Serie A club were running out of time to make a swoop, something that appears to have played a factor in their reported pursuit of Gazidis.